How powerful is the suction? Is Shark Rocket Deluxe Pro (HV323) worth getting? We may be approaching the most advanced model in the Shark Rocket Deluxe Pro series. This ultra-light push vacuum cleaner can easily be converted into a hand vacuum for versatile floor cleaning. It is equipped with powerful LED lights on the hand-held vacuum and the nozzle and has 2 times the dust container capacity of the original rocket. 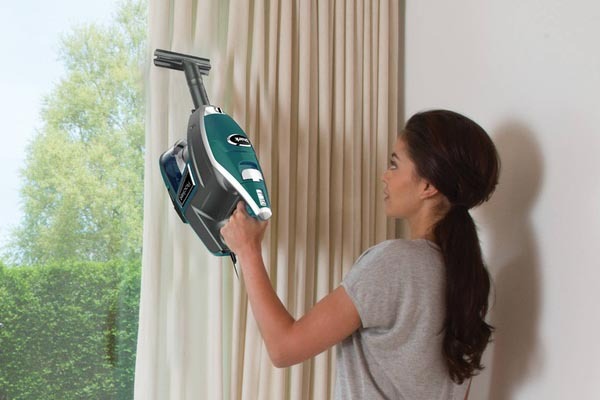 The Shark Rocket Deluxe Pro can be converted into a handheld vacuum. Weighs under 9 pounds which makes the vacuum cleaner ultra-light. If you have pet in your home the Shark Rocket has two tools (TruePet Motorized Brush and Pet Multi-Tool) to help you capture pet hair on surfaces and on floors. It picks up large debris and dust from bare floors with the help of an effective hard floor attachment and a washable microfiber pad. Bigger capacity dust cup allows you to clean up without interruption. The dimensions of Shark Deluxe Pro is 5” x 9.8” x 46”. Capacity of the dust container is .472 dry quarts. Length of the cord is 30’, which is enough to reach most part of the room. 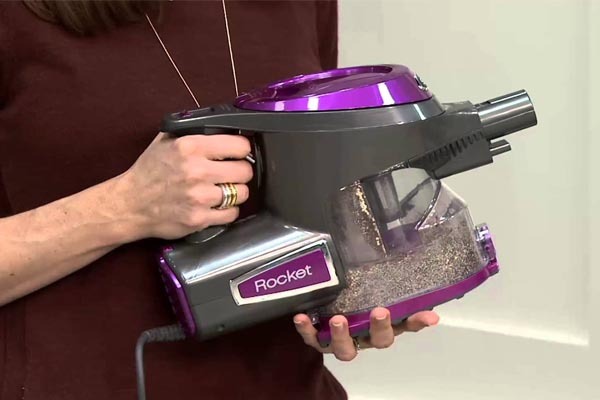 Rocket deluxe pro weighs 7.5 Pounds which makes it one of the lightest vacuum cleaners. Rated power is 500 watts. Comes with washable filters. You don’t need to replace them at all. Shark Rocket Deluxe Pro wired Ultralight (HV323) is a very powerful vacuum cleaner, this vacuum cleaner is highly configurable – the vacuum nozzles are easy to remove, transforming the upright vacuum cleaner into powerful wired handheld vacuum cleaner. The Shark Rocket vacuum cleaner has an ergonomic and comfortable handle with a rubber grip that prevents slipping and provides more control when the vacuum is operated with one hand. Because of its reasonable weight, the Shark vacuum cleaner is easy for your hands. However, when converted into a handheld vacuum, the Shark vacuum is not the lightest handheld device available on the market, but it can easily be used by seniors and even children. When you use it a few times your hands will get accustomed to it and it will start to feel less heavy over time. 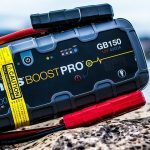 It will not lose suction because of battery dying since there is no battery inside and with a 9.1m (30ft) power cord Shark Rocket Deluxe Pro will have a long range of action using a single output. There is no corner of your house that the HV323 will not reach with the help of the extensions. The vacuum cleaner is built like a tank, doesn’t feel cheap plastic made and comes with a handy wall mount so you can store it. This saves space. Carpet: To what extent have the models removed surface debris on medium pile carpets? Bare floors: Denote removal of surface residues from the tile floor. Edges: To what extent did the unit find debris from where the ground meets the walls? It has 2 different settings, one for bare floors like tile, granite and hardwood and another for the carpets, rugs and bed or sofas. The vacuum cleaner also comes with several attachments that helps you clean effortlessly. The brushroll spinning cleans bare floors with ease. Probably one of the best vacuum cleaner for pet hair. It cleans pet hair with the help of 2 powerful pet tools for pet hair removal: the TruePet motorized brush and the pet multi-function tool. It had cleaned cat hair as well as dog hair so well. It’s pretty easy to use this device! The ergonomic handle of Shark Deluxe Pro is comfortable for your hands. 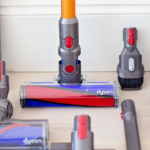 It can easily be converted into a handheld vacuum for versatile floor and wall cleaning. Aproximate total weight of 8.6 pounds placess this model on just a little heavier side but nothing to complain about. You won’t feel tired of holding it up. It is equipped with powerful LED lights on the hand-held vacuum and the nozzle and has 2 times the dust container capacity of the original rocket. It comes with the Dust-Away hard-bottom attachment to pick up debris and dust on your bare floors. So we know how good this Shark Rocket vacuum is but how easy it is to clean the vacuum itself? We have found it to be very easy to clean. All the parts come apart very easy and putting them back together isn’t tough at all. The dust cup is very easy to remove, all you need to do is click the two clips attached with it and remove the dust cup. Clean it then replace it the same way. You should clean both the filters every month or as soon as you think they’re pretty dirty. Compared to it’s size the suction power of Shark Rocket Deluxe Pro is pretty powerful. It cleans the walls and floors effortlessly. It cleans Carpets and Rugs effortlessly. The HV323 never loses suction. In fact, it is much better at collecting dust and pet hair than its predecessor. It comes with a slightly improved motor that allows you to switch from bare ground to thick carpets and vice versa and clean effortlessly. Shark Rocket Deluxe Pro HV323 is incredibly powerful thanks to its 500 watts motor. This means that it will clean more area in less time and in an efficient way. It could also make an excellent choice if you are vacuuming a large surface or if you clean often. And with a 30-foot cord, I bet you can reach areas like the ceiling further in a corner. Talking about hard-to-reach areas, the included brush heads rotate accordingly. This means that you do not have to bend over when cleaning under the kitchen countertop or in any corner. The HV323 doesn’t fall short when it comes to attachments. It has a patented brush and a multi pet tool. Both work to capture all the pet hair and dander that are left on any surface. There is also a washable microfiber pad and a dust away attachment to collect large or fine residues on bare floors. The brushroll switch is located near the handle and allows you to turn on (two speeds) and turn off the power roller. Such powered brush rollers clean carpets and rugs by removing dirt deeply buried in the carpet fibers. Its very easy to empty and clean. Made of clear plastic and you can see how full it is. The Shark Rocket Deluxe Pro Ultralight uprights are designed so that they don’t loose suction, regardless of the size of the bin. The Filters are washable and do not need to be replaced. They do their job well, but they are not HEPA filters, which is very important for people with asthma, allergies and similar health problems. The attached wheels sometimes make noise, mostly when they rumble on hardwood. It is a top-heavy vacuum cleaner so you may refrain from leaning it on something. If you have to lean it, we recommend you do so in a corner. It can tire your shoulders as well if you hold it for a longer period of time. If you do not mind spending a bit more cash, go for Shark Rocket Ultralight Upright Vacuum (HV323). They cost more than other models due to the set of cleaning tools available, but they get their job done on carpets, rugs and bare floors, regardless of the type of dirt and homes with pets. The Shark Rocket Deluxe Pro Upright Ultralight (HV323) is a very impressive vacuum cleaner that is worth its price. It’s a very effective tool to clean your home. Shark Vacuum Deluxe Pro ensures that you don’t bother yourself with simple cleaning tasks. The best part is that it does not matter if you are a housewife or a working person who rarely finds the time to carefully clean their living space. You can expect satisfactory results with a few strokes. LED light feature is awesome, goes deep dark areas. My friend owns one, I have helped her clean her room a few weeks ago. The vacuum cleaner is so good! It was actually fun cleaning haha. I’m planning to get one myself. The only complain I have is the battery run time. If only there was a bigger battery, than again it would weigh much more so I guess it’s alright. This is a great vacuum cleaner. I have 3 dog’s 1 cat and several pigeons living with us. That’s a ton of shedding you talk about! 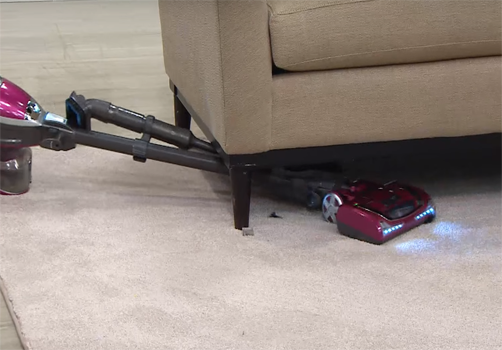 This shark vacuum cleaner cleans everything so good! I remember it was so much hard work to clean the carpets without the vacuum cleaner!